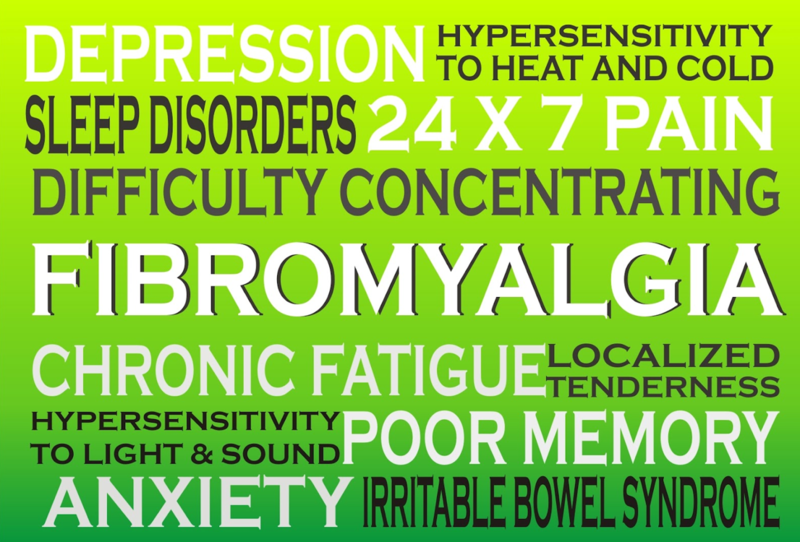 Fibromyalgia is often misunderstood and yet this condition affects so many people. Pain management is important because it can help fibromyalgia patients to gain control of their lives and to enjoy some quality of life. Here is what you should know about fibromyalgia. With fibromyalgia, there is neither inflammation nor damage to the muscles, joints or tissues. Therefore, it’s not considered arthritis related. The American College of Rheumatology created criteria for diagnosing fibromyalgia back in 1990, which included pain in 11 of the 18 tender points and a history of widespread pain in all four body quadrants. Fibromyalgia as a primary condition is characterized by muscle pain or as a secondary condition to other rheumatic conditions. In fact, those with a rheumatic condition such as lupus or rheumatoid arthritis are at greater risk of also having fibromyalgia. Sleep disorders and fatigue are major issues with those who suffer from fibromyalgia. Non restorative sleep also causes issues with lack of energy, memory lapses and cognitive problems. Fibromyalgia symptoms are commonly confused with symptoms that are associated with other conditions. The symptoms of Fibromyalgia and act like symptoms from other rheumatic diseases or they can also overlap. The National Fibromyalgia Association says it takes about 5 years for most fibromyalgia sufferers to get a proper diagnosis. 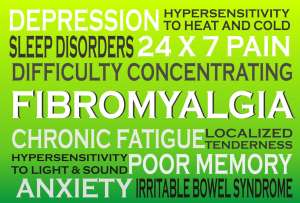 It’s common for fibromyalgia patients to have different symptoms. There is some speculation that this is because there may be fibromyalgia sub-types, which may one day be discovered and affect the actual treatment of fibromyalgia. Those who have fibromyalgia will commonly suffer from either one or more other symptoms. Alone these may seem like their own problem, but when combined together a pattern forms that realizes these are all related. Between 2% and 4% of the population suffers from fibromyalgia and the majority of these are women. Statistics don’t show how many people living with fibromyalgia have managed to get control of their symptoms and pain and lead a good quality of life. The tender points are used to diagnose fibromyalgia along with symptoms. There are no tests such as x-rays, blood tests, etc. that can confirm the fibromyalgia diagnosis. The Pain Management of Fibromyalgia is one area of treatment, but medications are also often prescribed to manage anxiety and depression, and to help to improve sleep. If your doctor is not getting your fibromyalgia symptoms under control a Las Vegas Pain Management Clinic can help create a treatment regime that gives you the best possible quality of life.